Every ski ability is catered for on terrain with deep powder bowls and long, wide, groomed runs. It has 10 runs that are more than 4km long. There is an exceptional nursery area and intermediates can ski both sides of the valley and progress easily and swiftly. It’s not too late to book your Easter school ski trip! 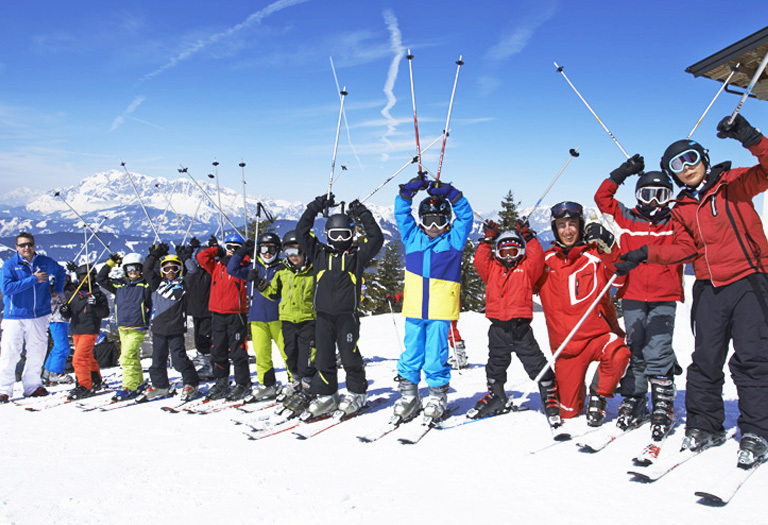 Why not combine your school ski trip with an educational tour? Combine fantastic skiing with an activity programme that can tie in with curricular subjects. Unrivalled reputation for over 35 years for high quality tailor-made ski trips. Family-owned company and trustworthy personal service in the UK and in resort. No hidden extras or broken promises. Just safe, secure, smooth running ski trips. It’s not too late to book your half-term ski trip! But hurry! We still have some flights available at amazing prices with accommodation for a range of budgets. Examples include the highly-acclaimed Wurzenraineror, for the more budget-conscious, the Hanneshof. Both offer easy access to the Snowspace Salzburg ski area with 120 kms of connected slopes right up to mid-April, student-friendly accommodation and a great range of après-ski activities. Prices starting from £899 for coach and only £1050 for flight groups! Send an enquiry now, or call us on 0800 496 4996.